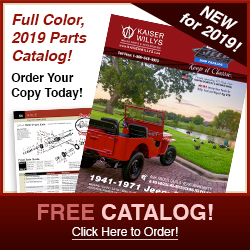 Welcome to the Kaiser Willys Jeep photo gallery, featuring 1941-1971 MB, GPW, CJ2A, CJ3A, CJ3B, CJ5, CJ6, DJ3A, DJ5, M38, M38A1, FC Truck, Aero, Jeepster, Wagon, Truck, Kaiser, Scrambler and post-1971 Jeeps! We hope you enjoy looking through our extensive collection of Willys and Jeep photos! Browse, leave a comment, or Submit your own to our webmaster! 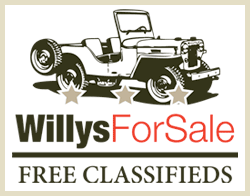 Need help finding parts for your Willys or Jeep restoration? Visit www.kaiserwillys.com or call us Toll Free at 1-888-648-4923.
selecionar um numero para colocar no capo. Alguém poderia me dar alguma sugestão? I did not see any pictures of the Willys Overland package vans in your selection. I own a few Cj2As, a 1949 Willys wagon 4×4 serial number 0006 and the most rare is my 1948 Stor-dor. I have not been able to find much info on them and was wondering if anyone would like pictures. Give Mike a call toll free 1-888-648-4923 Mon-Fri. 9AM-5PM EST and he will be more than happy to help you with this! Have a great day! They too were Willy’s ….. Kaiser Willy’s. Please feel free to match ne up with any of the people advertising one as I’m not good at getting around this and have not received responses from my inquirie. Me and my dad are restoring a 1947 CJ2A what is the stock paint color of the frame? 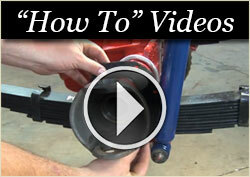 I am rebuilding the engine on a 1942 Willys MB, engine L134. I am hoping someone could tell me the paint color name or equivalent. It is a very light gray with a blue tinge. Any ideas? Thanks! I have a pink surrey jeep that my father gave me 40yrs. ago. Problem – cant find the title! Is there anyway, by looking at the VIN#,to determine the year model? How do I upload a photo of my 1947 CJ2A? Thanks to you guys I am able to drive it! Can any one help me I am looking for a reasonable pair of rear guards to fit on the tub I am building for my 64 willys truck, Any help would be appreciated. I cannot seem to find any here in Australia. You can call Mike today until 5PM (EST) at Toll Free 1-800-648-4923 – He can help get them for you or point you in the right direction! Great site! Will be sending a photo of my FC 150. 1957- 1959 combined into a complete resto. will be a couple mo. I have a 63 willy wagon how much is it worth? It needs brake work and also boby work but does run. how do I send pictures. I have a 1953 Willys pickup, that has been in the family for 25 years. It needs restoring, but find it difficult to locate parts. It seems all the parts have either rusted away or been crushed. The truck only has 17,000 miles, as it belonged to a local vol. fire dept. and needs only minor pieces to start the restoration on the body. I have purchased many parts from K-W and I am grateful they have a good supply of replacement parts. How do I submit a photo of my truck? Hi Mark – You can send your photos to me at webmaster@kaiserwillys.com. Make sure to include an album description (optional) and let us know where you want it posted! Great photo gallery. How do I submit a pic? I love this site – but I do not see ANY ’64 Kaiser Jeep Trucks with the Gladiator hood and the Thriftside (stepside) bed. Mine is a J-200 4×4 with the 230 Tornado engine in it. Its listed and pictured in the Kaiser Photos of the Gallery section. It is now with a restoration shop being totally off-frame restored. So, does anyone have one like it???? I’d really be interested in knowing if there are any more out there. Great site I will be sending you progressive photos of my 1964 willys truck during the restoration here in Brisbane Australia. It is a new venture for me. i found it under a cover jn a back yard it had not been run for 22years a battery and a little fresh fuel and the engine started on the third attemp I was thrilled it had only done 71000 miles since new and two previous owners. will keep you posted. 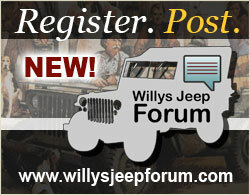 I would like to send you pictures of my 1948 Willys Overland Jeepster pheaton to be posted on your willys site. I also have a 1981 CJ 8n Scrambler if you are interested. I am looking for F head 6 cylinder decals or at least a good photo of a clean valve cover with decal so I can make one. Great photo section. Watch for my ’59 Willys Wagon and ’65 cj5 just as soon the weather breaks. kaiserwillys is with a doubt the number 1 1st class vintage jeep parts house. Enjoyed the pics. Great job. Hope to be submitting soon. Nice photo feature. I will be submitting mine soon.